Sara Kelly Johns is a retired school librarian, online instructor for the Syracuse iSchool, and a school library program consultant and speaker. She is a member of ALA Council and a recent member of the ALA Executive Board. Sara has served as President of AASL, the New York Library Association, and NYLA/SSL (then NYLA/SLMS) affiliate. She is currently a member of the ALA Presidential Initiative for Julie Todaro, the AASL Standards Implementation Task Force, and has been the co-chair of the NYLA/SSL Leadership Institute since 1991. From her nomination statement, we learn: School librarians turn to her for information, perspective, clarification, and inspiration. She is an invaluable source for learning and understanding libraries, policy, trends, and education for the library community across the country. Sara consistently speaks, presents, teaches, and best of all rallies others into ACTION! She continues to light the way for the impact of libraries. James Allen is a teacher librarian and EDhub Director at Eminence Independent Schools in Kentucky. From his nomination statement, we learn that he was “instrumental in starting the #KyLChat on Twitter, which takes place every second and fourth Tuesday of the month, and gives librarians across Kentucky a place to share and explore new ideas. He is also a founder of the #KyGoPlay movement, which has completely changed the way people think about libraries and maker spaces. He is the go-to guy in Kentucky who is always willing to share and encourage others to try new things. James is a Google for Education Certified Innovator. Michelle Cooper is a fantastic leader among Texas librarians and beyond. I am so indebted to her for her leadership in facilitating the weekly #txlchat on Twitter. She willingly shares her knowledge and experience with all of us in the profession. I am so thankful she is an active and vocal leader in my PLN. Sara Kelly Johns is tireless in her advocacy, both in our home state of New York, and on the national scene. Always gracious, always positive, Sara truly represents the best in our profession. Sara Kelly Johns has been an inspiration and valuable source of information for me throughout my school library career. Always a star that shone brightly at AASL conferences and who could be counted on to continue to my learning through her posts on Facebook. I particularly remember when we were fortunate to have her speak at an annual meeting in New Jersey on Evaluation for School Librarians, at a time when this was a particularly hot (and confusing) topic. She shared the experiences of NY State librarians, who successfully advocated for one consistent and accurate evaluation tool. Sara is a perfect choice for the Advocacy Ambassor category! Sara is my pick! She’s wonderful to follow and a social media rock star! I can say without a shadow of a doubt that Michelle Cooper has been a game changer for how libraries are received not only in east Texas, but easily across the state and beyond. Her constant drive to make the library the learning hub of the campus has been a focal point for how we redesign the other libraries in our district. Following her lead will allow students on all campuses to benefit from her forward thinking ideas. Michelle is also quick to share the successes of our students and their work through her many social media platforms. This not only inspires our staff and students to more and better things, it also creates a template for other librarians to model after to do the same for their learners. She is a tireless worker that we are so very proud to have in our district and is so deserving of this recognition and award. Thank you for honoring her with it. James Allen is an excellent candidate for the Advocacy Ambassador for AASL!! He has provided Librarians all across our great state of Kentucky with invaluable information and has helped us to see the need for technology/social media growth in our own libraries & professional growth of ourselves! I have been an Elementary School Librarian in Kentucky for the past 18 years and I value Mr. Allen’s knowledge and support. He goes above and beyond to help others be informed of the changing role Librarians play in this World!! I personally have a special folder in my email account specifically for Mr. Allen’s ingenious updates and ideas he sends out to our state Librarian’s List serve! Keep up the Great Work James!! So very proud to know Kentucky has such a great leader!! Michelle Cooper exemplifies the power of a teacher librarian. She is definitely a go-getter and has made a definite mark on the landscape of Texas school librarianship. Her work on Twitter #TXLchat has been amazing. No doubt, Michelle Cooper is a rockstar librarian and well-deserving of all the accolades there are! James Allen is indeed a Social Media superstar! In addition to being a visible and welcoming face of the monthly #kylchat Twitter that connects librarians across the state, he also features his cutting-edge makerspace on Instagram. 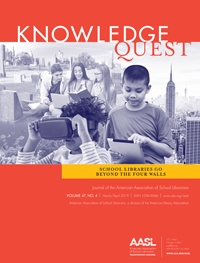 During his tenure as president of the Kentucky Association of School Librarians, James used social media to showcase school libraries and bring far-flung librarians into a closer relationship, while also expanding the visibility of the work we do. James has a well-earned reputation as an early adopter, but the truly significant thing about him is his willingness to share his failures and successes, and provide a path for others to follow. He shares all of his knowledge with librarians via Google docs and postings on the KyLMS list serv for all school librarians in Kentucky. James is unfailingly generous with tips, links, and presentations, as his true passion is making school libraries exciting, relevant and centers of discovery for ALL students. We are so grateful for his contributions and feel he is an excellent candidate for this award! James Allen is a superstar!! He is always presenting at events and helping other educators find ways to implement new tech!! James Allen is a wonderful example of paying it forward. He’s always willing to go above and beyond to assist others. His knowledge with GAFE makes him a great resource for those beginning their Google journey. James Allen is a social media superstar. His tweets amongst other things are fantastic. James Allen is definitely a rock star librarian! He is past-president of Kentucky Association of School Librarians, helps lead our bi-monthly #KYLChat, and is one of the first to share the newest technology! James is definitely deserving of this honor! James Allen is always connected with his fellow library media specialists and I can definitely say that we appreciate that! I’m thankful that he facilitates so much on social media–sharing his wealth of knowledge and connecting with others. James Allen defines the term “Social Media Superstar.” He helps lead the bi-monthly #KyLChat on Twitter, posts routinely about best practices and new technology, and helps ensure his school is up to date. James is well deserving of this honor. James Allen is a rock star librarian. He is always sharing his knowledge with others. He deserves this recognition. James Allen is a great librarian. He is always sharing his knowledge with others. He deserves this recognition. If you need information, James can help! He is SO helpful! James Allen rocks the social media world!! He’s full of helpful information and loves to share it with others! James Allen is a knowledgeable leader in the areas of Technology, Social Media, and current practices in the Libraries of today. He is a very sharing individual with the knowledge that he has acquired. James Allen would be a wonderful asset to all Librarians in this leadership role. James Allen is always in touch with the forefront of what is pushing human connectedness, a breath of fresh air and always hitting on what is current and helpful to technologist. A leader and advocate in the field of technology use and getting the word out, definitely deserving of this award. James Allen–you mean YOU haven’t heard of him?! He is a phenomenal teacher librarian and person. He is an asset to the librarians of Kentucky. He is one of the many reasons I look forward to the @kylchat every 2 weeks. He is knowledgeable and humble. In 2015, as part of a research study, I interviewed @_MichelleCooper in her role as a co-founder of #txlchat. She noted that the motivation behind the chat was to provide a forum for librarians to gain professional development through sharing ideas, best practices, technology applications, and to create a collaborative community of like-minded professionals. Michelle said, “I believe continuous learning challenges and inspires me to be a better librarian.” She continues to use her social media presence to support school librarians’ exemplary practice (including her own) and advocate for the highest quality of professional school librarianship. At a PD I once attended with James, I witnessed him simultaneously using a Chromebook, a smartphone, and a tablet. If that’s not the definition of a connected educator, what is?! James is a rockstar librarian here in Kentucky and we are all better professionals because of him. I’ve worked with James extensively over the last month or so and I have to say he is one of the most affable and dedicated educators I know. I am so excited that he is being recognized – he is absolutely amazing. James Allen is THE rockstar of library social media! He is willing to share information, encourage others to try the newest in technology, and co-founder of the KyLchat. James is a great leader for Kentucky Association of School Librarians and is known and respected nationwide! If there is any doubt about his knowledge and use of cutting-edge technology, go visit his school!! I cannot think of a more deserving person to be honored! James Allen has been a great supporter of the Hardin County Innovate Fellowship and shared so much information with us. He’s also a wonderful speaker at conferences no matter what he’s speaking on. The #KyGoPlayground at KySTE was amazing and let so many teachers know about the various tools teachers can use to implement fun and learning with technology in the classroom. He’s my pick! I always attend James’ sessions at conferences because I know he will share all kinds of neat techy library info! James Allen always has great tips to share! He is always willing to help out and teach us new things. James Allen is a rock star teacher librarian!! He always willing to help his peers and his students succeed. Love connecting with him in the KyGoPlay Playground and via KyLChat on Twitter!! James Allen is definitely the candidate for this prestigious award! He goes above and beyond to help and assist! He has been a true supporter of the Hardin County Innovate Fellowship and shared so much information with us. It has been my pleasure to meet him and be involved with his work! James Allen is a Social Media Rock Star!! He is always willing to help and share his knowledge with his fellow library/media specialists. James Allen is present in person and on social media wherever you look. His enthusiasm for technology is infectious. I learn something new every time I see him. James Allen is so knowledgeable!! He presentations are entertaining and educational! He is definitlely a social media superstar! James Allen is definitely the person for this prestigious award! He is a rock star among his students and his peers. He is always the go to person when you need information on the newest and latest technology. James Allen is a multiplier of knowledge and a a resource to the entire state. He is very deserving of this award! James Allen is a leader librarian. He is active and dependable on KyLMS and KyLChat. His passion for education and technology is infectious and he is always willing to share! I have been blessed to be participant in sessions led my James Allen. I have been able to witness and learn from what he is doing with and for the students as well as teachers of Kentucky! Go JAMES ALLEN!! Thank you for paying it forward and sharing your knowledge and love of learning with all of us! James is the epitome of a modern librarian/media specialist. In the years I have known him, I have learned so much, and appreciate his diligence, leadership, and passion for students and education. I can’t think of a better person for your award. James is the true definition of a modern librarian. He encourages others to use social media and is a leader in helping others know and use social media properly. I am sure that ALL three of the candidates are fantastic, but the one that has my vote, with no question, is James Allen. His willingness to help others is admirable. James is an innovator, creator, and a dreamer. Most of all, James is a passionate teacher giving his students opportunities that they may not ever have. James Allen is so deserving of this acknowledgement of his efforts. He is not only a tremendous resource for the state of Kentucky but he shares broadly with global educators regularly. James Allen enthusiasm is contagious! He is approachable and engaging. I enjoyed meeting and speaking with him at the KASL summer refresher as well as during twitter chats. He is an inclusive leader! Sara Kelly Johns has been a library activist for decades. She uses social media as a platform for getting out the message, but she also knows how to use in-person contacts. Most importantly she inspires other librarians to advocate using whatever platforms work for them She is a role model and an inspiration. Sara Kelly Johns has used social media to continuously advocate for the role school librarians and libraries play in education. Throughout her service to the profession, she has made and continues to make advocacy a central theme of her interactions with librarians serving in all types of institutions and community constituents. Thank you, Sara. James Allen’s passion for bringing technology innovation into the libraries has redefined not only the role of the library media specialist, but has also reshaped what students can expect to experience in their school library. Ten years ago while many of us were entranced with interactive white boards, James had greater visions. He is a true imagineers. 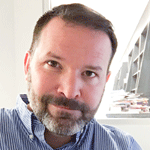 James has actively used social media to promote the importance of libraries and library media specialists, and he has taken on leadership roles within KASL. James is generous with his time and skills. I can’t think of anyone more deserving of recognition and thNks. When we need advocacy materials, advice and leadership, school, public and special librarians always turn first to Sara Kelly Johns! She is on the cutting edge of every movement and improvement, and she serves tirelessly for librarians everywhere. Sara deserves to be honored for the hours, days and weeks that she dedicates to our profession! There aren’t adequate words to describe James Allen’s contribution to Eminence Schools and the future of libraries en masse. He is constantly pushing the boundaries of how libraries operate, what they offer, and how to make them as relevant as possible. Many of the elements of our new Edhub (our own library of the future) exist solo thanks to his vision. He has created websites, videos, VR walkthroughs, and Tech Specs on the tools and the facilities in order to help make our own world available to the rest of the world. Here are a few of those resources. Take a look and you won’t be disappointed! James is truly the best of the best! So proud of having James in the @EminenceSchools family! He is also the first to help with anyone who has technology questions on the listserv! Look up “Social Media Superstar” in the dictionary, and you will find James Allen. I first collaborated with James as one of the co-moderators of #KyLChat. Realizing that not all media specialists were as comfortable as he was with social media, James started presenting at various conferences around the state on using Twitter to create and grow one’s PLN. As a result, our #KyLChat group grew and has become an awesome resource to librarians across Kentucky. If that’s not enough, James uses Storify to provide an archive of chats, so people have 24/7 access to the information shared. In addition to #KyLChat and #KyGoPlay, James sits on the executive board of KASL, where his input is invaluable. He has also served as the chair of AASL’s Best Apps for Teaching and Learning and actively participates in conversations on our state’s list serv for media specialists. James would be the perfect Advocacy Ambassador for AASL. Without a doubt, my vote goes to James Allen. Coming to the Library Media Center from the classroom, my first years in this role were a challenge. James was my go-to guy! Whether he intentionally took on the role or not, he became one of my mentors. And that relationship pushed me to learn more and try new things every single day. He’s a visionary, who understands the bigger picture when it comes to library media education. His leadership and advocacy in our field makes him the perfect choice for the Advocacy Ambassador! We all knew that when Sara Kelly Johns retired from her school librarian position it did not mean that she retired from the profession. With her outgoing, positive outlook, as well as her wealth of knowledge, she is the perfect library advocate. She has held leadership positions at the regional, state and national level. Though I am a retired school librarian and library system director, I continue to follow my friend, Sara on FB to keep updated on what’s happening in libraries. I share any relevant library news with her, knowing she will get the word out. I’m really glad that Sara is teaching online at iSyracuse. The next generation of librarians need her! Before I became a librarian, and I knew I was headed into the field, I learned about #txlchat on Twitter. I immediately began following Michelle Cooper, and I am so glad I did. Now as a Texas school librarian, I count on and look forward to #txlchat and all the learning that will happen. Michelle Cooper co-founded this chat, and I will be forever grateful. She is welcoming, eager to share, and understands what school librarians need. She is a valued member of my PLN! James Allen has some very innovative programming, but more importantly he takes the time to connect to new librarians and encourage their programs. I’m not sure I can say anything new at this point, but I can certainly add my own witness. I have been more than lucky to land in James Allen’s orbit and become a better educator because of it. Definitely a social media superstar! Looking forward to learning from him for a long time! I had the great fortune to connect with Michelle via #TXLChat. Her knowledge about librarianship and her willingness to share her knowledge with others is testament to her wanting to give back to her profession. 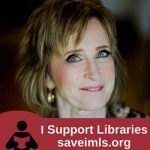 She willingly steps up to support and advocate for libraries. She’s truly a servant leader, ready to share whenever called upon. James is an innovative advocate of library media through an array of social mediums. He’s an asset to learning communities. I have had the pleasure of working with Sara Kelly Johns on a number of occasions. She is always well informed and has been a consistent advocate for school librarianship for a number of years. This is a powerful trio. Sara Kelly Johns has been an inspiration and teacher since I started in the profession….she continues to help me and hundreds of others learn, challenge, speak up, commit, shift, push, transform, try, succeed, fail, try again, and DANCE no matter what. Her impact is exponential and I give her my vote! Sara Kelly Johns is a superstar advocate in NY state and for ALA/ AASL. 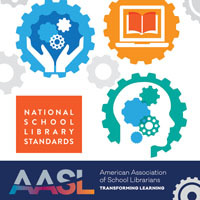 This is a great group of people, but I particularly treasure the work that I have seen Sara Kelly Johns do on behalf of AASL. James Allen is not only amazing at his craft, but he truly cares about helping other educators. James equips many with tips and tricks of the trade and is completely selfless when it comes to sharing his knowledge and expertise. He is exactly the type of educator I would want for my own children and is exactly the type of colleague I would love to have. Having known James for the past two years has had a tremendous impact. I use apps and websites he has shared on a daily basis. I’m grateful to have him in my expanded PLN. James Allen is always sharing his ideas and activities that he does with his students. He participates in several events for his profession. He inspires me to do more. He is definitely a social media SUPERSTAR!! James Allen’s professionalism and passion for all things library and technology are inspiring to to us all. His enthusiasm is contagious. Sara Kelly Johns – Wow. There is absolutely no stronger ambassador for advocacy than Sara. Sara has her eyes and ears open at all times for opportunities to ensure school librarians are included in policies, regulations, budgets and laws. She is completely prepared and ready to speak when the right moment comes – and her words always have an impact. Like E.F. Hutton, when Sara talks, people listen. And listen they should, because no one else has been as involved and as committed to the profession as Sara. I’ve been at the Capitol in DC with Sara advocating for library programs, and she is fearless. She takes on leadership roles such as president of AASL and the New York Library Association; when she’s at the helm, we are in the best of hands. Sara led the AASL ESSA program in NY. She taught us all how to go forth and turnkey what we learned. The way Sara has advocated for school librarians throughout the work of NY’s ESSA draft is not only impressive, it has led to important changes that would not have happened without her. Sara is immersed in the work, always elevating and energizing the project at hand. Sara herself has been in the trenches and connects with those of us in the field with humor, dignity, intelligence and, above all, leadership. Her use of social media connects us, informs us, and calls us to action alongside her. Michelle Cooper is a dear friend of mine, but even more than that she is leader among school librarians! She is a constant innovator who never loses sight of the students and how what she is doing in the library will impact their learning. I have long been an admirer of her passion and energy for school librarianship! Her advocacy of students and librarians has been at the forefront of her work on #txlchat. Thank you for always bringing out the best in students and librarians! Sara Kelly Johns is always advocating school librarians and she makes her voice be heard! She is always promoting on social media letting us know what we can do as a community to become stronger. Give me a thousand feet of butcher paper and a pen and I still couldn’t describe how much of an impact James Allen has had not only on the hundreds of students he interacts with daily, but also the countless others of librarians around the state who look up to him as a strong supporter and friend. Michelle Cooper is a fantastic educator and a brilliant librarian dedicated to bringing out the best in her students. She has always used the latest state of art technology available to her to get students interested in reading and doing research. She is an asset to the State!! I have known Michellle Cooper for many years, first as a teacher and then as a librarian. Having had a mother who was first a teacher and then became a librarian/media specialist, I know how hard it is to be a fantastic librarian/media specialist☺as well as wife/mom. Michelle goes over and beyond to make each person- student, teacher, guest- who enters her library feel welcome! She provides for each student something which will interest him or her even when he or she is not motivated. She runs her library with professionalism, using her monies wisely to reach her audience, whether she is reaching high school students as at Henderson or middle schoolers at White Oak. My two children were blessed to have her help as well. As for me, I am thankful to call her my friend. Through the Library Conference at TXLA, I have witnessed and been encouraged by the brilliant librarian, Michelle Cooper. Her work with Twitter #TXLchat has helped librarians and libraries in Texas and beyond. Thank you Michelle for making me a better librarian for my students. I am the infamous “retiring librarian” who picked Michelle Cooper out of a group of excellent teachers at our high school and saw the qualities I knew would make her an outstanding librarian. I saw an innovator who was constantly looking for new and different ways to teach her class. I saw a young woman who had sacrificed to achieve an advanced degree which she was endeavoring to use to improve the lives of students. The most important trait I saw in Michelle Cooper, however, was her caring heart for students, education and learning. She has exceeded my wildest expectations. She never quits learning and growing, and, in future years, she will still be exceeding expectations because that is who she is. She deserves recognition and praise, but that is not why she does what she does. She does it because she is a outstanding librarian and educator and that is her mission and calling. She is one in a million. I met Michelle last year at our state association summer professional development. She was inspiring and insightful. It was a pleasure to meet Michelle and learn from her. She offered us lots of ideas for programming in our library and set the stage for encouraging us to think as if there were no box when it comes to our libraries and what we offer. It’s an honor to be in the her company as a Social Media Superstar Finalist. Sara Kelly Johns was the first person I met when I became involved in the Section of School Librarians and the New York Library Association Legislative Committee. She is my mentor and the person I look to for information about NYLA , AASL and ALA. She works tirelessly to advocate for school librarians, Her work in NY ESSA draft to make sure school librarians have a stake in this has been impressive. She is always on the cutting edge of school library issues and broadcasts them to the library world through social media and through the committees that she serves on. I am so proud to be able to endorse her! Michelle Cooper’s #txlchat is very popular with librarians checking from all across the country. She is a definite teacher librarian rock star. 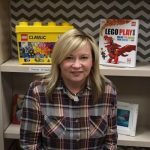 Michelle Cooper is a library superstar who is well-versed in reading for middle school and high school students, technology integration, and Makerspace. But that’s just the tip of the iceberg! As a librarian in a middle school, she uses every opportunity to widen her students’ global reach with mystery Skypes, Read Across America activities, participation with Global Maker Day, and postcard projects with students in other countries. Then Michelle blogs, tweets, and presents at conferences to inspire other librarians to do more than traditional library activities by showing proof of what can be done as a librarian with no aide. I have had the pleasure of knowing her as my graduate student and now as a colleague and friend. Along with another friend, we started #txlchat, originally created as a medium for networking Texas school librarians; this weekly Twitter chat has grown to have a nation-wide audience. She was also one of the co-founders of TL News Nite, a monthly library news format “hangout.” Michelle is truly an advocacy ambassador in that she just doesn’t talk about what’s good for librarians and libraries, but she models what’s doable for aspiring librarians. Michelle Cooper has been a great influence to the library world. She is very willing to offer ideas and instruction not only to her students but to fellow librarians as well! she always seems to be on the cutting edge of things and is willing to share her knowledge with others. Michelle Cooper is a true game changer and difference maker when it comes to the library world. Her love for her students and teachers alike makes what she does powerful. Her vision and creativity has inspired her students to reach beyond the traditional boundaries to participate in Global Maker Day, Read Across America Day, March Madness Book Wars, skype sessions with students and teachers from across the world, and Book Tasting Events to name a few. She has presented numerous sessions to teachers and librarians across the state of Texas and beyond its borders to share ideas, instructional practices, and cutting edge tools to showcase that the library is more than a place to check out books. Her work with #txlchat and librarians has skyrocketed into a nation wide audience, offering valuable support and resources for her colleagues. Her presence on social media spreads far and wide student successes as she advocates for her students, her school, and her colleagues. She is a library rockstar and is an Advocacy Ambassador in every sense of the word. I wholeheartedly support Sara a Kelly Johns for her continued advocacy for School Libraries and Librarians. She is a voice that can be heard in the highest ranks of ALA membership and is always supportive of what we represent in the lives of children, parents and the entire school community. I have the opportunity to work with Michelle Cooper on a daily basis. She is truly an advocate for all students. As students enter her library, they are instantly transformed to a “Camp out with a good book,” “Speed dating with a book,” “Taste tasting with a book,” “Book March Madness”, “Skyping with a class from the UK…” and the list goes on! Come by during lunch, and you will see Mrs. Cooper teaching students to use a 3D printer, makey makey, facilitating book club or a lunch and learn. Michelle Cooper is a gifted librarian to making reading and research fun for students, families, teachers, and community members from all over the world. Michelle Cooper deserves this award! MICHELLE COOPER IS A ROCKSTAR! She has created an environment that builds excitement about going to the library. Her knowledge, expertise, and sunshiny personality have made the library a welcoming spot for both students and teachers. From Book-Tastings to Tech Clubs for each grade level to Lunch-and-Learns for the teachers, Michelle is all about supporting anyone who wants to learn or create. We are truly blessed to have her on our campus. Michelle Cooper works tirelessly to lead, inspire, and educate students in an environment that facilitates warm personal relationships. Michelle Cooper is MORE than deserving of this award. She is constantly coming up with new ideas to keep our students excited about the library. The days of “shhhhhhh be quiet in the library” are no longer! For our students she has introduced tech clubs, book clubs, skyping with students overseas, and more, AND she hosts Lunch-and-Learn tutorials for our teachers. BUT that’s not all! I have even seen her dress up as Super Girl and push a book cart in the cafeteria, just to encourage our students to read. We are blessed to have Michelle Cooper as Librarian at WOMS. Librarian is not nearly a big enough title for her though. Mrs.Cooper is a great librarian. She makes reading very fun, and any time we walk into the library she has some creative way to make reading fun. My favorite thing we did is when we Skyped students in England. Mrs.Cooper and my reading teacher changed the way I looked at reading. I couldn’t ask for a better librarian than Mrs.Cooper. Mrs.Cooper is so sweet, and she is so much more than a librarian. She helps the other students, she helps the other teachers, and most of all she helps me whenever I need it!! Michelle Cooper is a go-getter! I don’t think the woman sleeps! I’ve had the honor of knowing her for about 4 years now and she’s a remarkable lady. Michelle has taught a couple of sessions for me to Librarians and has been involved in almost every conference I’ve organized over the past four years and is keynoting our summer library conference. She packs ’em in with her innovative strategies that work to engage students. I wish her all the best as she deserves this award! Mrs. Cooper is so much more than just a librarian. She went with us on our field trip, she set up our PBL’s, she hosts our book club and our Tech club. She even makes reading fun for students who don’t enjoy reading. Mrs.Cooper is the best librarian you could ask for. I think Mrs.Cooper should win because she helps us find what we like to read. And she is a good librarian. She helped us make are PBL ,and she is a good technology club teacher. I’ve been blessed to work with Michelle Cooper on several different occasions. While working with her I have seen that she has a true passion for people. She will humbly tell you what her students and teachers are doing and never give any credit to herself. She makes sure that her students know how important they are and that someone cares about them. By sharing the stories of her library on social media, she helps others to see what a 21st century library looks like. By starting #TXLchat, she has helped create an awesome PLN for librarians across Texas and the nation. Michelle Cooper is a social media SUPERSTAR! Michelle Cooper is an amazing asset to our students, our campus, our community, and the world. She gets the students at school involved in various activities that stimulate their love for reading and learning. Mrs. Cooper inspires young readers with books, projects, clubs, contests, poetry, productions, and so much more. She is never at a loss for encouraging words, helpful tips, technology tools, and general knowledge about the most current, popular books as well as the classics. She is a true blessing and phenomenal resource to the library community and learners abroad. In between tweets and nationwide trainings, Michelle Cooper plans with teachers, turns the library into a technological sanctuary, and empowers teachers to take risks with technology. She is very deserving of this recognition and embodies what it means to be a great media specialist/librarian in this century. I have been a superintendent at two different rural schools in Texas. Michelle Cooper has been eager to share with, and help both of those school districts in ways to effectively integrate technology, utilize social media, and utilize the library to enhance student outcomes. We have a first year librarian/media specialist in our district this year, and Mrs. Cooper has been a strong role model for him. Michelle has a passion for utilizing the library, love of reading, social media, and technology integration all to improve student learning and outcomes. She shares her knowledge, tricks of the trade, and experience freely via #TXLchat with librarians/media specialists across the state of Texas. Michelle Cooper is a true leader and ambassador to her profession. I can think of no other individual more deserving of being the AASL Advocacy Ambassador. When I think of a rockstar librarian i think of James Allen. His voice is well respected in our state and his opinions and ideas are highly sought after among teacher librarians not only in Kentucky – but across the nation. Is there really any contest?! James Allen completely transformed my opinions of school librarians. (Can I even say that here?!) My experience had always been less than stellar and when I met James I was completely blown away by his ideas, opinions and vision for the library of the future. James Allen forced me to see things through a new perspective and truly embrace the power of the school library. James Allen is my choice! Michelle Cooper is the quintessence of the 21st Century Techbrarian. She has a passion for improving libraries, helping fellow librarians improve and instilling the love of reading to her students. Michelle sees the need to get our libraries into the digital age while still maintaining the traditional role of libraries. Her #TXLchat on Twitter reached librarians not only in Texas but all over the country and globally. I witnessed her passion and leadership at #TCEA a few years ago when she let me address the Texas librarians gathered there. We need more people like Michelle to instill the importance of library programs in all schools. James Allen is the one! Michelle Cooper devotes her time and energy to her students. She creates an innovative and creative space in the library that is inclusive and welcoming. She is a strong advocate for 21st-century libraries. She co-founded #txlchat which give librarians around the state and nation a forum to collaborate, share innovative programming, and advocate for librarians everywhere. She has always been an active member of the Texas Library Association, Texas Association of School Librarians, the American Library Association, and the American Association of School Librarians. She currently serves on the board of the Texas Computer Education Association (TCEA) where she strives to share the importance of tech integration, student voice, and future readiness. She presents and shares her knowledge on a regular basis at educational conferences. She will be presenting at the Texas Library Association Conference in a few weeks to share the importance of strong libraries for students. She is most deserving of this award! Michelle Cooper is a shining example of what a librarian should be! She not only does amazing things on her campus, but she shares those events, programs, and ideas with all of us through social media and in person. I cannot tell you how much I appreciate her willingness to share her awesomeness and to encourage all of us to move forward! As the executive director for the Texas Computer Education Association, I have had the distinct pleasure to work with Michelle Cooper for a number of years. She has always been more than willing to share her knowledge and expertise with our members, offering workshops and presentations and Skyping in to help other librarians with her innovative ideas on the use of makerspaces. She is always looking for ways to improve what she can offer her students and staff in the library. Quite frankly, I don’t know how she finds the time to do all that she does. She is more than worthy of this award! Mrs Cooper is an awesome teacher. She leads our tech club and makes it really fun. She also puts good books in our library. Michelle Cooper is one of the greatest librarians in the world. She is willing to do anything to help White Oak Middle schools students. We all love her dearly! Michelle Cooper is so helpful not only with helping me find the right book, but also helping me learn I am a very visual person and everything she does helps people like me. The 3D printer is one of the most helpful things. Mrs. Cooper is the best librarian in the world and will help you with any issue you have from having problems with your computer to helping you find a good book to read. Mrs. Cooper is the best choice! Mrs. Cooper is baller because she give us good books to read. And she teaches us how to use technology. Mrs. Cooper deserves this award because she is smart and knows a lot about technology. She teaches kids tech club, book club, and how to use green screens. She is also a good librarian. She has a cool 3D printer, too. She helps us with our laptops if they’re not working. VOTE 4 MRS. COOPER!!! Mrs.Cooper is the best librarian in the universe of librarians.She helped through the horrible times of my computer being broken and also she helped through the time when my shirt was green for when we had use the green screens.Also whenever anyone need help with the computers she is there to help and make everything right.After That she is so amazing that she gives us the support to do anything computer wise we want to do.Finally she deserves to win this competition. Mrs. Cooper is a wonderful librarian at our school. She teaches us how to do so many things. She helps us fix any problems we have with technology. She has helped me with several projects I have done in the past year. Michelle Cooper is so helpful not only with finding the right book,but also helping me leran that i am a very visable person. Mrs.cooper is an great librarian she’s the one that made reading fun for me. Mrs. Cooper is an amazing librarian who helps out the students in every way possible. She helps with projects in ways such as teaching how to use greenscreen, as well as teaching us about technology in tech club and hosting book club. She also fixes our computers when they are broken or not working properly. Mrs. Cooper is an all around amazing person and deserves to be thanked more often that she is. James Allen is an inspirational leader for Kentucky librarians and librarians across the United States. His enthusiasm for new technologies is contagious and his advocacy efforts on behalf of school librarians is well known. In Kentucky, school librarians turn to James for social media tips. He’s always helpful and patient with newbies! James Allen’s involvement in the creation, moderation and continuation of the popular #KyLChat has ensured its success. His popular conference sessions on social media tools/strategies are always a big hit and well attended. James is genuine and humble, and his transparency about his role as librarian provides the sort of advocacy that shines a light on school libraries across our state, region and nation. It is an honor to place a testimonial for Michelle Cooper. Since joining our district, she has re-defined the role of school librarian. She works within our middle school library, but touches all campuses, within our district. Because of her outreach efforts, she connects with districts all over our country and abroad. Michelle is a tireless advocate for literacy and learning. ALL students are invited to her Tech Clubs, Book Clubs, and Maker Space Challenges. Our middle school library is a safe space for creative thinking and innovation. Kids that don’t feel as if they “fit in” because of emotional or academic challenges blossom with Michelle. She is “game changer” and a “Superstar.” Thank you for your consideration. Mrs. Cooper is a difference maker at White Oak Middle School and White Oak ISD. Michelle’s passion for introducing/encouraging our students, faculty and staff to read/incorporate technology into the daily lives we lead is outstanding. Michelle Cooper’s interest in student success reaches far beyond to wall of the school. She is, by example, a life long learning and clearly uses her passion as a tool to reach all of us at WOISD. I am very proud of the work being done and the fact the she is being considered for this honor. Michelle Cooper is an awesome librarian and innovative school leader. I had the privilege of working with her at a middle school. In addition to her regular duties, she went above and beyond in order to reach students. She hosted book clubs during the lunch periods, tech clubs, and robotics after school. Mrs. Cooper always encourages students to be their best and to continue to learn. By making the library a true media center, it became a place that was used by many every day. Mrs. Cooper was also very instrumental in planning and designing a state of the art media center at a new campus that was recently built. Not only did she help students, she also helped teachers with instructional technology by hosting Tech Tuesdays after school for those wanting to learn more ways to include technology in their classrooms. Mrs. Cooper is truly an innovator and deserves to win this national award. Michell Cooper is the type of colleague that teachers dream of having. I was blessed to be a teacher alongside her at a middle school campus. Mrs. Cooper showed innovation in the Media Center that sparked the imagination of students and teachers alike. She has the ability to engage students that are reluctant readers, and ease them into books that are a good fit for them. Mrs. Cooper also has the ability to inspire teachers to reach outside of their comfort zones, whether it be to utilize new teaching techniques or technology. She is a true partner to students and teachers. Mrs. Cooper is deserving of this honor. She is an inspiration to all in our field! Mrs. Cooper has taught me many things. She is a great librarian! 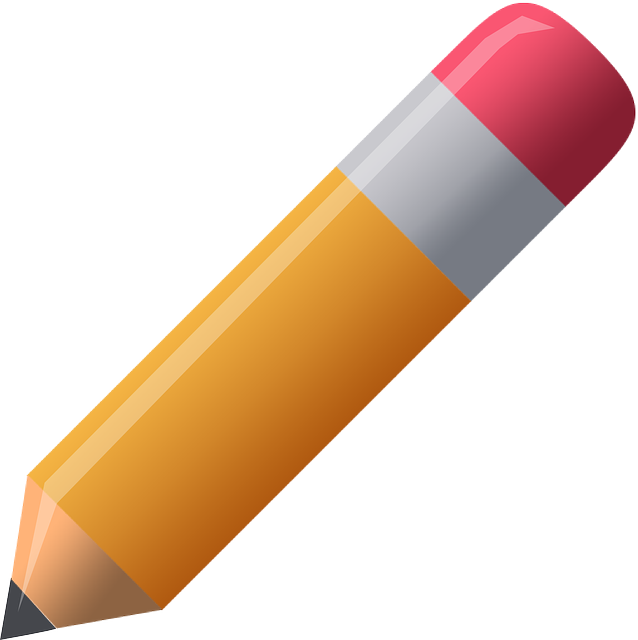 mrs cooper help a lot on seval class assignments,she is also very friendly. Mrs. Cooper all the way! She’s not just an amazing librarian, she is a role model for a lot of people! For all the things she has accomplished! we learned the green screen room and how to use it for commercials she also has a threed printer and she lets us use it sometimes its very cool . Michelle Cooper is a fantastic librarian and a helpful person.She is good at her job and is always willing to help.I believe that she is one of the best in the world. Mrs. Cooper is one off the best people I know she is very kind and she is always there for me she has done a lot for my school in the few years she has been here. Michelle Cooper is an very nice and cool librarian. She lets us use the library for activities that our teachers assign to us. Sometimes she even joins in or tells us information about some projects. VOTE FOR MRS.COOPER!!!!!!!! She is an amazing librarian who helps us in any way you could think of. She also helps us find the best book to read, and she teaches us how to use websites and technology. Michelle Cooper is the type of colleague that teachers dream of having. I was blessed to be a teacher alongside her at a middle school campus. Mrs. Cooper showed innovation in the Media Center that sparked the imagination of students and teachers alike. She has the ability to engage students that are reluctant readers, and ease them into books that are a good fit for them. Mrs. Cooper also has the ability to inspire teachers to reach outside of their comfort zones, whether it be to utilize new teaching techniques or technology. She is a true partner to students and teachers. Mrs. Cooper is deserving of this honor. She is an inspiration to all in our field! Michelle Cooper was an awesome librarian and friend. I miss her. She turned our chaotic library into something streamlined, organized, and pretty. The students actually wanted to go to the library. She updated our books and implemented countless new systems. She started a book club and a robotics club. Without a doubt, Michelle Cooper is the most amazing library media specialist I’ve ever encountered. I am honored to work in the same district alongside such a passionate and dedicated educator. Her presence in our district is a game changer. Not only does she help students develop a love of reading, but her library is a space for exploration with students and teachers alike, inspiring those she’s around every minute of the day. Hands down, Michelle Cooper has been an incredible asset to our school and district! She has worked tirelessly to implement wonderful programs for our students, such as book clubs, technology clubs, maker events, etc. In addition, she conducts training sessions during lunch for our teachers and works alongside them as a support with projects in their classrooms. Overall, Michelle Cooper represents what every librarian and media specialist should be, and I believe she would be a stellar Advocacy Ambassador. James Allen is a true inspiration and leader in KY for keeping the library at the center and heart of our schools – no matter the name — librarian, media specialist, teacher librarian – we are a vital component to student achievement and learning in every school. I can’t wait to visit the EdHub! Thanks for all you do! James Allen is a true leader and librarian superstar! He is always helpful and supportive, and we are so fortunate that he shares his fantastic ideas through social media. Michelle Cooper is MOST deserving of this amazing award. Having been a student in her classroom, to seeing her transition to the role of media center specialist, to working along-side her once I became an educator, I know she serves this profession with her whole heart and truly wants both her students and fellow educators to be successful. She completely transformed our old, dusty library into a welcoming environment where students and teachers wanted to be. Countlessly searched for new ways to interest students. Continuously asked students what types of books they were interested in, and gradually transformed our library into what the students and teachers needed and wanted. She made students want to read again. She continuously provided tech tools that we could use as our school transitioned through our 1:1 initiative, as well as provided professional development sessions and tech Tuesday meetings for teachers. Michelle started book clubs, robotics clubs; things our school never had before. Any job that need completion, Michelle is one to volunteer for it. Michelle is one of the most caring people I know. She is always encouraging. She is always giving herself to others 110% and does not like attention or recognition for it. She is what other educators strive to be. Michelle is a one of a kind media specialist and educator, and she deserves to be recognized for it. Michelle Cooper is the most knowledgeable and helpful librarian with whom I have ever worked. There was nothing she wouldn’t do for our teachers. Her Tech Tuesdays were so very helpful in pushing me into the technology world within my classroom and personal business. I still follow her in all of her areas of expertise and still call her with questions about technology. She is my go-to person for anything techy! If you don’t follow her, then you should! I had the pleasure of being Michelle Cooper principal at my intermediate school. Her mom, a teacher, her brother an attorney, I knew she was going to be successful in the future. And it has happened. She had great relationships in her first librarian’s position at an elementary school and led the library to become one of the central gathering themes at that campus. She holds teachers in high esteem and is always seeking input and different methods to help students in the library setting. She has presented innumerable sessions to librarians and teachers acrose the state of Texas; and, gone beyond our borders to share ideas, best instructional practices, and modern tools to showcase her library showing it is not just a place to “check out books.” Her vision inspired students to travel beyond the traditional boundaries to participate in Global Maker Day, Read Across American Day, March Madness Book Wars, Book Tasting Events, and skype sessions with students and teachers across the world. Michelle has shown exemplary initiative with #txlchart and it has skyrocketed nationwide offering audiences expert support and resource for her colleagues. I know students attend the library because she is so proficient technology wise. She is a game changer, a game maker, and the game. I am so happy I had this chance to speak about an ex-student that was nominated for such an award, AASL Social Media Superstars: Advocacy Ambassador Finalists. Michelle possesses all the attributes of a librarian that is laden with “super” strategies for students and teachers. I thank you for honoring Michelle at this time. SKJ for me! Sara Kelly Johns is the epitome of what it means to be an “ambassador.” She has always stepped up to advocate, advance and celebrate the profession in the most diplomatic and positive way. She makes friends and allies for us and people respect and listen to her. I admire and respect her more than I can express and I can’t think of a better person to have in our corner. Please consider what she has accomplished on our behalf – it’s nigh onto legendary and deserves recognition. Sara Kelly Johns is one of the best cheerleaders I know for libraries. She leverages her social media presence to always shout what librarians do, what libraries are used for and to advocate for our profession continually. Mrs. Cooper is a amazing teacher and librarian. When I was making my campaign for student council secretary she helped me make my campaign and made sure I was content with my videos. She is a great canidate and she is helpful,smart and makes sure you are happy with what you have. Mrs.Cooper is the best librarian in the whole world. She always helps us when we need help with are computer or need help finding a book. She is always in the best mood and makes the best out of the worst situations. She is alway there to encourage you. I think Mrs. Cooper all the way. She does Tech Club, Book Club, and even Book Club just for us. She takes time from her just so we can have fun. When our computer is not working right she is their to fix it. She is the best librarian anyone could ask for. Mrs. Cooper is a great librarian and helper at this school. She does Tech Club and Book Club even when it is during lunchtime. She also helps fix our computers when they aren’t working. In my opinion and hopefully yours too, she is the best librarian a student could ask for. Mrs.Cooper is a wonderful librarian. She is always helping us find books that are perfect for us. Also, when our computers break down or something goes wrong with them she is there to help right away. Mrs.Cooper hosts book and tech clubs that are fun and educational at the same time. She has a great selection of books that will be entertaining for us and keep us engaged. Mrs.Cooper is a great candidate for this award because she is so amazing at not only her job but her personality . I’m very thankful for such a great librarian who is ready to help at all times. Mrs. Cooper is absolutely a God send to our school. She is such a positive and caring librarian that gets the kids to truly love reading! She rearranged the books into genre categories that made it so much easier for the kids to find what books that they are interested in reading. She has given so many children a purpose for coming to school with her tech and book clubs during lunch. She is willing to find book or tech resources for the teachers. White Oak ISD is so blessed to have such a person that enriches the learning both in literature and the tech world. Thank you Michelle Cooper!!! Whether it’s checking out a traditional book or integrating the latest technology, Michelle Cooper makes colleagues and students feel like they are at home in the library because she is so kind and patient. Michelle is a motivator, an expert, and a visionary in her field sharing her ideas through social media, workshops, specialized presentations, and speaking engagements. Her library is not a dark place that houses old, musty books. 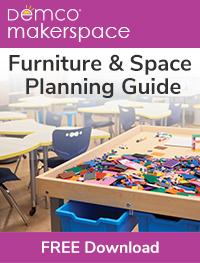 Instead, it is a bright, welcoming environment designed to reach all students by inviting them to simply hang out with a good book, become a tech or book club member, explore Robotics, or participate in a unique reading project. Michelle opens the door to inspiration, creativity, collaboration, discovery, and problem-solving, and once a person walks inside the library or joins in a chat session, she welcomes her guests to experience her passion for learning, literacy, and technology. I have had the honor and privilege of working with my dear friend Michelle Cooper. She is most deserving of the honor of being named AASL Advocacy Ambassador because she is an innovator, a creator, a specialist, and a TRUE ROCK STAR. I’m so very excited to see Michelle Cooper honored for being an Advocacy Ambassador. I first became acquainted with Michelle via #TXLChat and have learned so much from her. She is dedicated to her profession and is ready to support others in their librarianship and share her story via her blog. She is willing to try new things and bring learning opportunities to her students and teachers. What a wonderful honor for her-congrats Michelle! Mrs. Cooper is the best! She has a positive attitude to her students. She is really really helpful finding books. I couldn’t ask for a different librarian! When she’s not at school we’re upset, but we know she’s busy doing the best she can! We love Mrs. Cooper so much! I think Mrs. Cooper deserves this award because she is the best librarian.She runs clubs for our school so those who want extra activities can get them.She is a super hero right here at our school.She is also a great librarian she helps with almost everything,so I think every single person should vote for her because she is absolutely the best librarian in world. When I first became a school librarian, the name I heard time and again was Sara Kelly Johns. Her constant work on behalf of school librarians in New York, and on the national level with ALA and AASL, is legendary. Now, having to opportunity to work closely with her, I am always amazed by her indefatigable energy to advocate on behalf of the profession. And still she maintains such a down-to-earth, easygoing nature, all the while finding the sweetest ways to pull you into a flurry of tasks that inexorably advance school librarianship! She leads by holding you up as a leader… that’s the greatest method of advocacy! Sara Kelly Johns is incredible in her persistence and consistency in forwarding the cause of school libraries everywhere. She’s my rock star! Before I even became a librarian and I was following all things library, I connected with Michelle Cooper via Twitter. I knew that if I wanted to learn about being a librarian, Michelle Cooper was someone I should know. I love participating in #txlchat because I know Michelle will share, answer, and offer great suggestions! Her leadership in Texas is a gift to Texas librarians! I congratulate her on this honor!! Sara Kelly Johns is not only the face of NY school librarians but the nation. She is dedicated and passionate about getting her voice (and our voice) heard via social media and beyond. #txlchat is an indispensable part of my professional life, and I have Michelle Cooper to thank for that. I always look for her presence and participation, for her posts. She is a rock star among librarians and makes all who are associated with her – however tangentially – stronger, more knowledgeable.